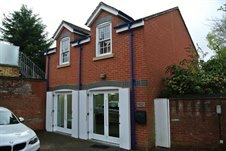 Cattaneo Commercial are pleased to announce the letting of Oak House Mews, 39-41 The Parade, Claygate. This modern two storey self contained building, comprising 765 sq ft with car parking, has been let to Lightwood Planning Limited. If you have a requirement for or considering disposing of premises please contact either Andy Armiger or David Keates on 020 8546 2166.